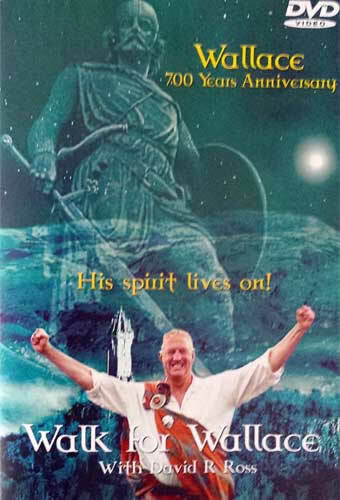 David R. Ross, convenor of the Society of William Wallace, commemorated the memory of Wallace, by walking from Robroyston near Glasgow, to London, on the 700th anniversary of Wallace's execution. Wallace was captured on the 3rd of August 1305, and arrived in London on the 22nd of that month, the journey taking 19 days. On the 23rd, he was taken to Westminster Hall, the oldest part of the current Houses of Parliament, where his sham trial took place. Therefore the same dates in 2005 mark the 700th anniversary. Although David undertook the walk to London alone there were many hundreds of people waiting to join him on the final part of the journey. If you were there, relive the memories, if you weren't it's the next best thing... Narrated by David himself, a wonderful documentary on a deeply personal journey.